Beautiful 'day wear' dress with 3/4 length sleeve, deep pleated skirt and sash tie. Here in a 100% cotton. 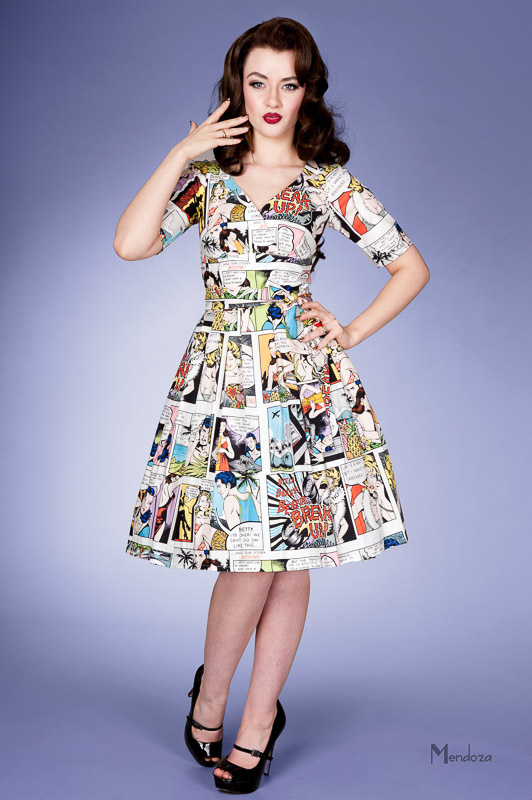 Here worn with a petticoat in a fantastic print featuring a kitsch comic strip about relationships! !